Home 2017 October 17 Why Should Expressing Your Beliefs Come At A Cost? Rather people should kneel during the national anthem or not should not be the question. The question should be, “Should people who are standing up for their believes be penalized for it?” Yes, people should be able to see you and kneel during the national anthem. And yes, it is necessary. In the United States we are supposed to be the land of the free. Free to speak out, and free to assemble. We are eve free to protest, peacefully of course. But if we are allowed to believe in what we want why are the football players being criticized for it? In 2016 Colin Kaepernick sat during the national anthem to protest against racial behavior towards African Americans, and also police brutality. Every since then it’s been a wave of protest but now it seems as if people are being about more involved, a bit more critical, and now the football teams are saying enough is enough. “Wouldn’t you love to see one of these NFL owners, when somebody disrespects our flag, to say, ‘Get that son of a B…. off the field right now. Out he’s fired! He’s fired!’ (ESPN 2017) Trump said at a political rally in Huntsville Alabama. One of the biggest debates has been if the football players are disrespecting our flag and veterans, or is Trump just trying to use that as an excuse to be disrespectful. The article on ThinkProgress “Trump says he speaks for veterans on NFL protests. We let them speak for themselves.” Written by Luke Barnes has 4 different veterans speak out about how they feel about the protests and the president’s comments. A former U.S. army member and Tennessee National Guard, Amanda Blount, feels as if the protests are justified. Amanda thinks activism is important and that African Americans have been through centuries of slavery and discrimination. So I’m now way or form are they disrespecting the flag. Trump should be finding a way to make the country safe for everyone. Being able to stand up for what you believe in in important because that’s what America is based on. And if that isn’t true we are false advertising “The Land of the Free”. Veterans put on the uniform to exercise the democratic right to practice what you wish. A marine veteran, Manson Shams doesn’t take offense “because the parties in the NFL have clearly said this is about inequality and racism not about the troops.” But why does trump insist on making it about the flag? 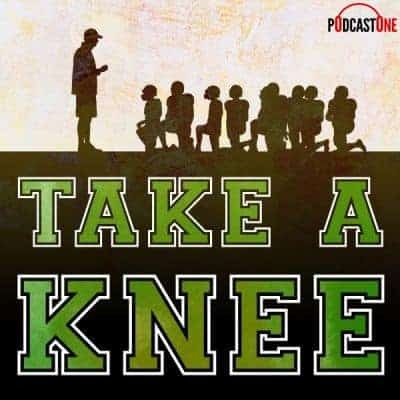 Moral of the story is no, the football team owners should not be able to tell the players how to exercise their rights or tell them to stand up or lose their jobs. But yes the players should follow standard procedure. Yet the players should still be able to express their beliefs however they feel in appropriate and no they should not be penalized for it because eventually every voice will be heard and change will come about. Why Should Expressing Your Beliefs Come At A Cost? by Nya is licensed under a Creative Commons Attribution-ShareAlike 4.0 International License.